At Oborne Contracting Inc. we have assembled a team of dedicated, dynamic highly skilled individuals. Their varied backgrounds ensure that we have the right people to lead your project. The vast knowledge of our team brings insight and experience to the unique needs of each individual project. We pride ourselves in our team's creative problem solving and ingenuity. Meet the Oborne Contracting team and see what our talented team can offer you. As the proud owner of OBORNE CONTRACTING INC. for over 20 years my dedication to quality workmanship and customer service is directly attributed to the unprecedented growth the company has experienced. I measure success by placing equal value on developing relationships with clients, trades and employees while delivering the high quality results that we have become recognized for. While my work history in the field has always resulted successfully. It has come with its challenges educating me to stay focused, confident and adapting to the management of the business and the construction approach. Not taking success for granted, I am committed to the development of the company and maintaining an ongoing business relationship with clients. This repeat and referred business accounts for a major portion of OBORNE CONTRACTING INC.’S accomplishments. "Quality, cleanliness and customer service equal happiness"
A Journeyman Carpenter & Joiner Ken is a vital part of the OBORNE CONTRACTING INC. Team. Built and renovated houses in Britain, New Zealand, America and Canada. WPI renovator of the year 2008. 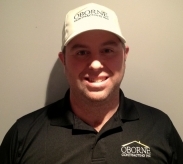 We are very proud to have Ken as part of the OBORNE CONTRACTING INC. team. "Looking to build better homes through merging old world craftsmanship and new techniques/materials"
"When the games on the line.......winners want the ball"
OBORNE CONTRACTING INC. is proud to have Jeff as part of the team. Jeff started in the construction field over 17 years ago as a general labourer for a small local contractor, quickly gaining knowledge while completing bathrooms, basements and other small renovation projects. 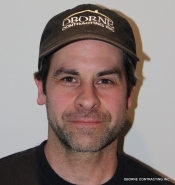 With OBORNE CONTRACTING INC. Jeff implements his experience in the position of Project Manager and his “Nice Guy” demeanor makes him liked by all. As a top tier lead hand for OBORNE CONTRACTING INC. Kevin continues to impress. His on-site construction skills are progressing and he understands the importance that OBORNE CONTRACTING INC. put towards customer service and quality. 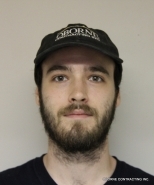 Kevin is working on a solid career in the construction industry and we are thrilled to have him as part of the OBORNE CONTRACTING INC. team.